People use PDF file format for sharing information on the web owing to their size and flexibility. Besides, the PDF files are broadly acceptable, easy to use and allow a variety of document formatting and protection options. These features allow you to share documents on your website while locking uses from editing or copying its content. In this post, we will show you various methods of uploading and sharing PDF files in WordPress site. Related: Add responsive flipbooks library in WordPress? The first thing should be getting your file ready for uploading. 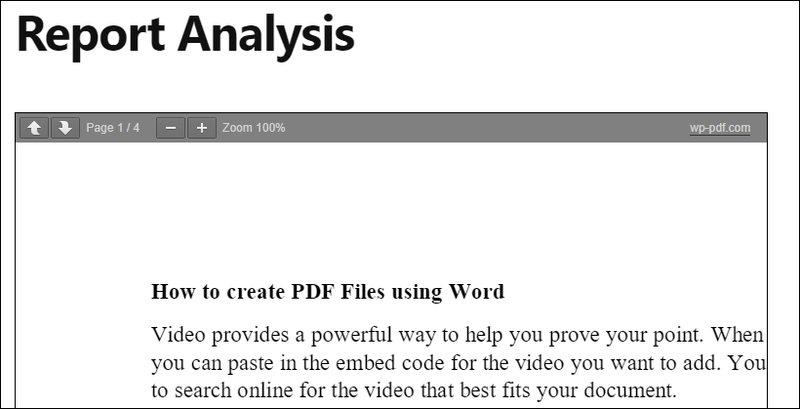 You can use one of the many available online or offline tools to create your PDF file. In our case, we will use Microsoft Word to prepare the PDF file. After typing and formatting your document, click the “File” menu and select “Save As”. It is advisable to give the file a simple name in small caps. Under the “Save as type” choose PDF. Tick the “Standard” option to optimize the file for web publishing. This compresses the file to offer faster loading to your viewers. Check our article on how to create eBooks from Word documents. Linking custom text or image to the PDF. Now that you have a PDF file. It could be a brochure, eBook or user manual to help your users. 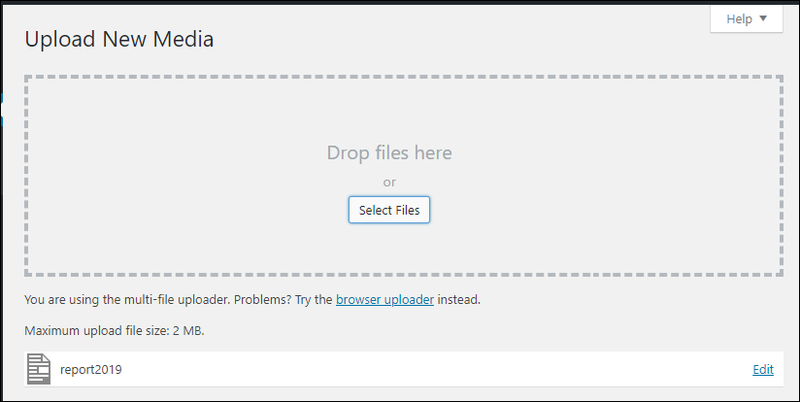 The next step is upload the file on your WordPress site. 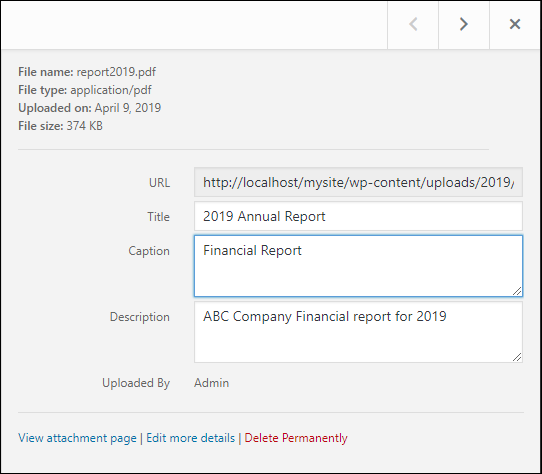 Open your WP site Admin panel. 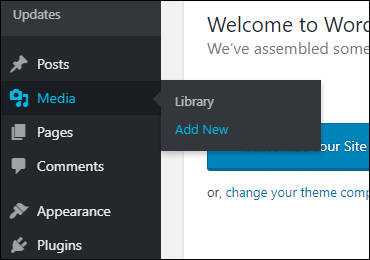 On the left dashboard, menu go to “Media” and choose “Add New”. You can drag and drop the file or click “Select Files” to browse your PC storage. After uploading the file, you may click “Edit” to modify the file settings. On the right-side pane, you can edit the title, caption and add a description for your file. 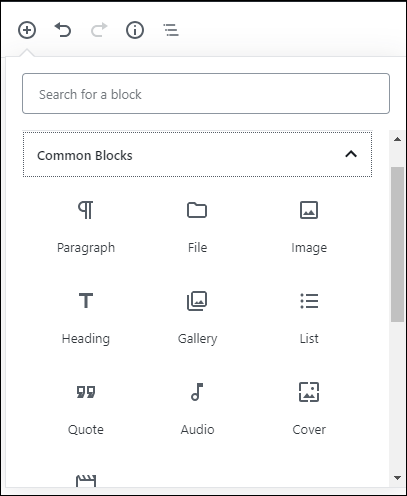 The Gutenberg WordPress editor offer many blocks and you can use the common blocks to add PDF on your site. Add a new or edit an existing post and choose the position you want to insert the PDF. On the top left corner of the post editor, click the “+” (plus) sign and under common blocks, select “File”. 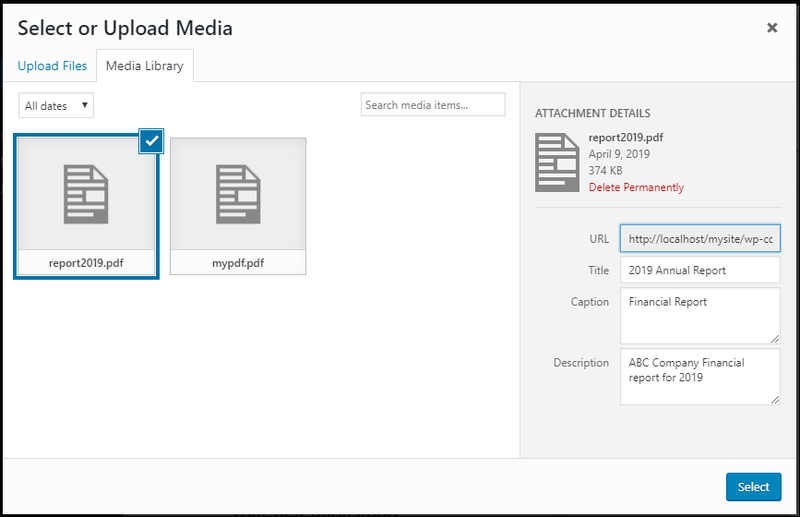 Click the “Media Library” button to select the file. Select the specific PDF file and then click “Select” at the bottom of the window. This will insert a link that allows your readers to view the PDF document and a link that enables them to save the file. You can click and edit both the link and the button text. You can use text or an image on your post to link to the PDF file. Copy the URL of the PDF file, for the custom text-linking, highlight the text and click the “Link” icon on the paragraph toolbar. Paste the URL in the text field and click the arrow to apply. For the image, select the image and go to the image settings on the right-side panel. Under the “Link to” field, select “Custom URL” and paste the URL in the “Link URL” box. If you want to customize the display of PDF file on your site then you can go for plugin option. This will help you to set the appearance of the display as per your requirements. Go to the “Plugins” menu and select “Add New”. 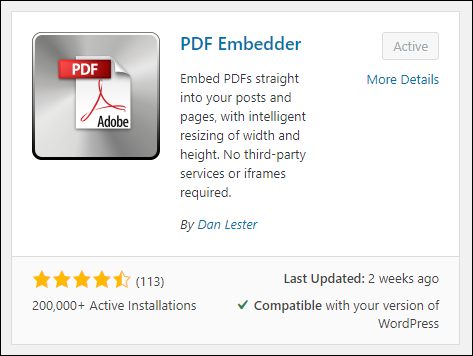 Search for “PDF Embedder”, install and then activate the plugin. To configure the plugin settings, go to “Settings” on the main menu and click “PDF Embedder”. Modify the settings to your preferences. The free version allows you to specify the PDF size of the PDF viewer, position and the appearance of the toolbar. Once you have configured the settings, click the “Save” button at the bottom of the page. Related: How to add Word, PowerPoint and PDF files in Weebly site? Add a new page or post and click the plus sign to add a new block. 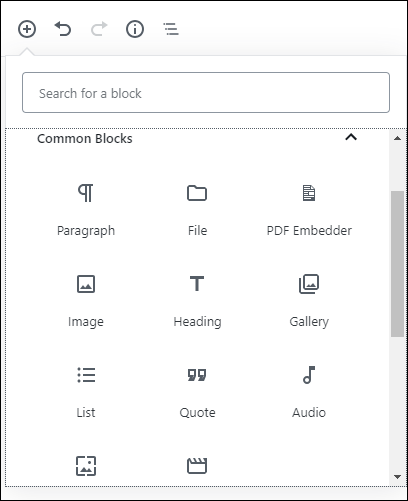 Under the “Common Blocks” look for and select “PDF Embedder”. Click the text inside the newly added block to select your PDF file. You can view the result by clicking the page/post preview. 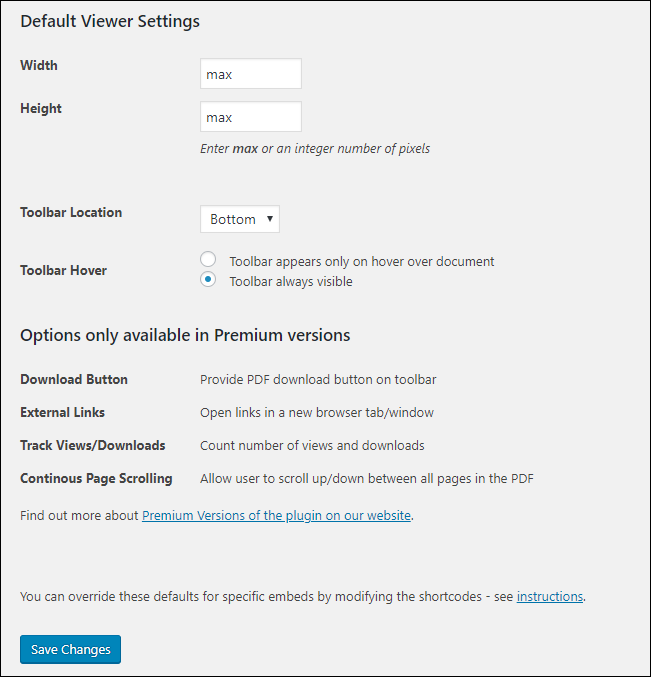 Note: The premium version of the PDF Embedder plugin offers more features such as allowing you to add a download button at the bottom of the view, track the number of views and downloads, or opening in a new browser tab/ window among others. PDFs are very helpful when you want to share information in a format that is not ideal for normal web pages. You can password-protect your PDF document to prevent copying, modification or printing that carry sensitive information. Moreover, the PDF format is widely acceptable and easy to share on the web. Remember, search engines like Google will index the file as well as the content inside the file. So avoid publishing private information in PDF files that you do not want to share to the public audience. Using the methods listed above, you can easily upload and insert a PDF file in your WordPress page or post with or without a plugin.